Full hockey equipment is mandatory. This includes stick, skates, gloves, shin pads, shoulder pads, elbow pads, hip pads or padded hockey pants, approved HECC approved helmet and full facemask. 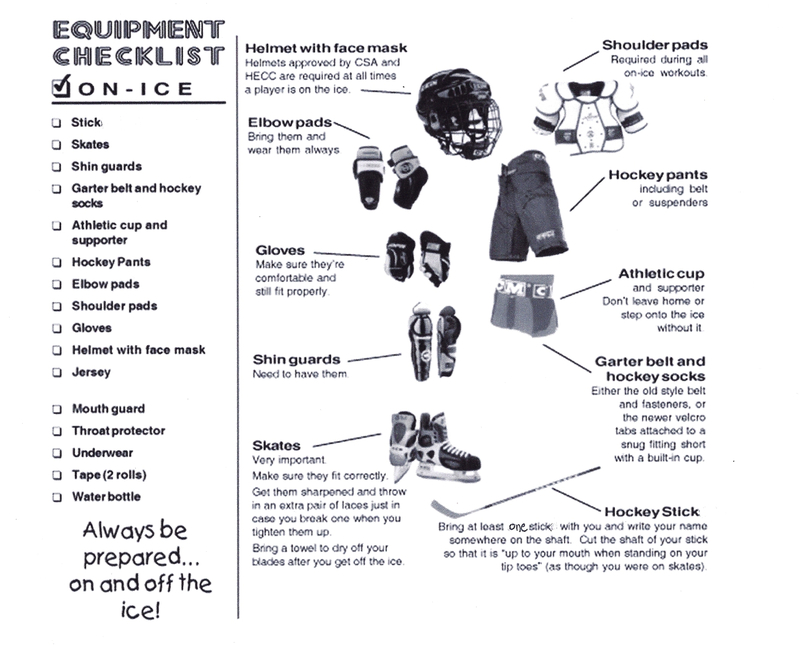 It is recommended that all protective equipment be designed specifically for ice hockey. LBYH strongly recommends neck and mouth guards.